Do you suffer from ongoing ankle sprains? Then you may be at risk of developing Chronic Ankle Instability! 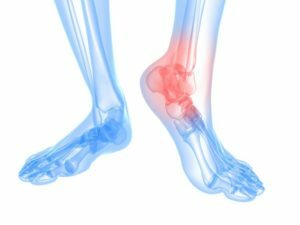 So what exactly is Chronic Ankle Instability? Chronic Ankle Instability is a condition that occurs due to repeated ankle sprains as a result of the outside of the ankle giving way. Over the years, multiple ankle sprains are likely to cause the ligaments to become stretched and in severe cases, torn. Quite often this can happen when undertaking activities such as walking and standing. Poor rehabilitation of a simple ankle sprain or roll is one of the biggest causes. This is why it is so important to make sure that you undertake proper rehabilitation to strengthen the muscles around the ankles. Don’t let an ankle sprain lead to a more serious condition like Chronic Ankle Instability! Make sure that you book in to see one of our skilled podiatrists today for an assessment. Our podiatrists are trained to provide you with an accurate diagnosis and appropriate treatment plan to get you back doing the activity that you love. Just call 8645 9800 or book online today! It’s as simple as that!